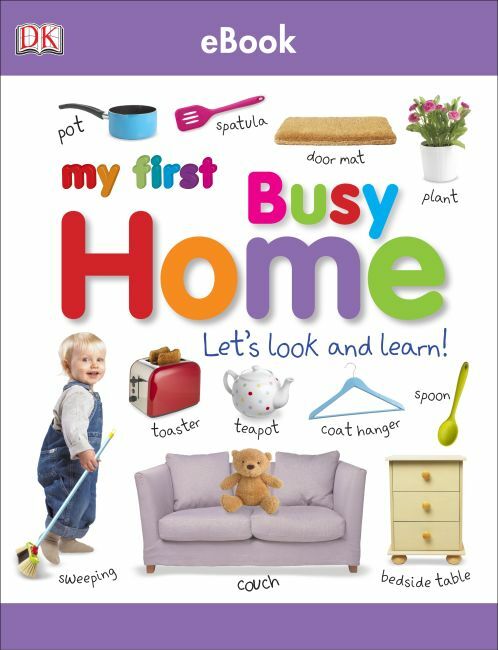 Packed with colorful pictures and activities, your toddler will love discovering familiar images of objects from around the home with this eBook! Perfect for reading together and encouraging early word recognition. Bright, busy pages transport your toddler to different rooms around the home and places outdoors, featuring colorful playhouses, housework activities, numbers, and colors for them to engage with. Fun-filled questions on every page will help develop early speaking and listening skills.